Happy Wednesday friends! 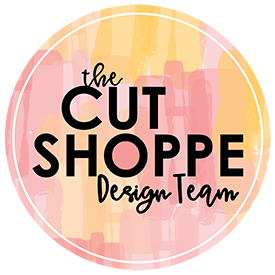 I shared a layout on The Cut Shoppe Blog yesterday of this fall layout using the Leaf It To Me Cut File! It’s so hard to believe that Thanksgiving is tomorrow!! Where has this year gone?! For our family the Christmas season starts the day after Thanksgiving so I knew that I needed to sneak in at least one fall themed layout before I move onto my Christmas themed layouts and my December Daily themed album. I used all four images from the Leaf It To Me Cut File. I love that two of the images are solid and the other two are open leaving room to back them with your favorite pattern papers. I grabbed a pattern paper from the CTMH Pathfinding Paper Packet and couple different Simple Stories fall themed collections for the leaves. I know there is a few pieces from the Sweater Weather Collection and I want to say that the other collection is Hello Fall or maybe it is Harvest Lane? These collections have been in my stash for some time and some of the labels were not attached to all of the items. I also used a wood veneer, washi and an ephemera piece from the Pretty Little Studio Oakley Avenue Collection designed by Ashley Horton. I started by positioning the PLS ‘Hello’ wood veneer and ephemera piece at the top of the layout but off center. I wanted to create a slightly diagonal design for this layout. I then positioned my photo and tucked the leaves from the cut file on either side. I added in a few gold rub-ons from Jen Hadfield Warm and Cozy underneath the leaves. I added the second portion of my title ‘Wednesdays’ using alpha stickers from the Simple Stories Sweater Weather Collection. I also added a washi strip from the PLS Oakley Avenue Collection directly under the alpha stickers. The colors match each other beautifully!! This layout is to document the recent changes in my weekly schedule. I started working a half day from home on Wednesdays so I am able to see Aidan in the morning before he heads off to school and I am able to pick him up an extra day each week. This photo was taken on the first day of my schedule change. I picked Aidan up from school and we went for a walk through the trails on his school’s campus. It was such a beautiful fall day, the leaves were changing, and it was just an all around perfect afternoon! I wanted to document how excited and grateful I am to have this extra time with him each week. My journaling is typed onto the layout using the We R Memory Keepers Typecast Typewriter. One thing to keep in mind when using the WRMK Typewriter is that you have to add the journaling prior to adhering anything down! I typically get my layout mapped out and make pencil marks on the layout where the journaling needs placed, add my journaling, erase the pencil lines, and then adhere the photo(s), embellishments, cut files, etc. I added a few pattern paper strips to the bottom of the cardstock to give the layout a little grounding. I then added gold splatters using Heidi Swapp Color Shine, gold stitching and few wood veneer accents for final touches. Here’s a quick process video showing how this layout came together! Thanks for stopping by and remember to stop by The Cut Shoppe Etsy Store!